Have you been looking for a midsize pickup truck that can meet all of your driving requirements with ease? If so, head over to Charlottetown Toyota in Charlottetown, Prince Edward Island (PEI). At our dealership, drivers can survey all of the latest Toyotas including the 2015 Toyota Tacoma. As one of Canada’s top-ranked Toyota dealerships, we have served PEI for a number of years with our best prices on all Toyotas. Stop by Charlottetown Toyota at 1 Superior Crescent and put a new Tacoma to the test today. The midsize pickup truck is one of the most popular segments on the road today, so let’s see how the 2015 Toyota Tacoma does against the Nissan Frontier. As midsize pickup trucks, both the Tacoma and the Frontier come with punchy motors that can provide you with the ability to tackle a variety of driving situations. 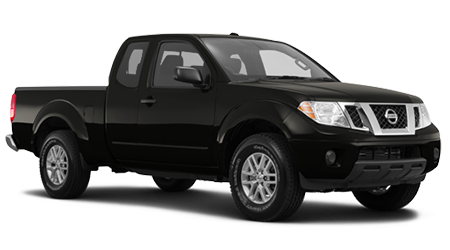 The base Frontier comes with a 2.5-L four-cylinder engine that makes 152 hp and 171 lb.-ft. of torque. 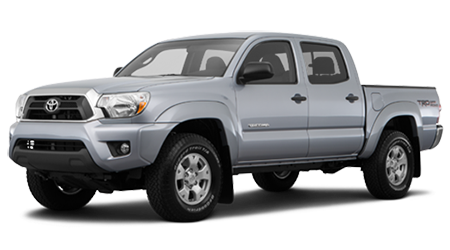 In comparison, the Tacoma is equipped with a 2.7-L four-cylinder engine that generates 159 hp and 180 lb.-ft. of torque. The Tacoma’s engine is more powerful than the Frontier’s and gets better fuel economy at 11.5L/100 km and 9.5L/100 km (city/hwy). To give you the confidence to use the midsize pickup truck on a regular basis, the Tacoma comes with an extended warranty. Toyota backs the vehicle with a lengthy warranty, so you can tackle heavy-duty jobs with ease. The Tacoma comes with a 3-yr./60,000-km basic warranty, a 5-yr./100,000-km powertrain warranty and a 5-yr./unlimited-km corrosion warranty. With its lengthy warranty, you can enjoy driving the Tacoma everyday. If you’ve been searching for a midsize pickup truck that can meet all of your driving requirements, then check out the 2015 Toyota Tacoma. With its powerful motor and lengthy warranty, the Toyota has the edge over the Nissan Frontier. Come by Charlottetown Toyota in Charlottetown, Prince Edward Island (PEI) at 1 Superior Crescent and discover a new Tacoma today.